I’m not sure what I like most about Thanksgiving – the actual turkey dinner with all the fixin’s or the delicious appetizers beforehand. Wait… it’s most definitely all the family time! Though, the delicious food is a close second. Here are 10 delicious appetizers sure to disappear off your Thanksgiving table long before the turkey is served. This salad combines two of my favorite foods: sweet potatoes and kale – perfect for Thanksgiving. Say hello to another power green, endive. Combined with honeyed goat cheese and figs, this appetizer packs a tasty and healthy punch. Who says you can’t eat dessert first? 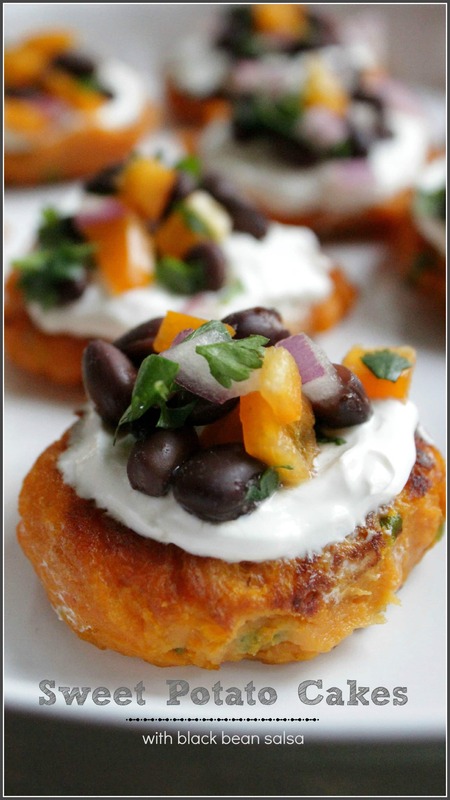 This super simple tart doubles as a delicious appetizer and a tasty light dessert. 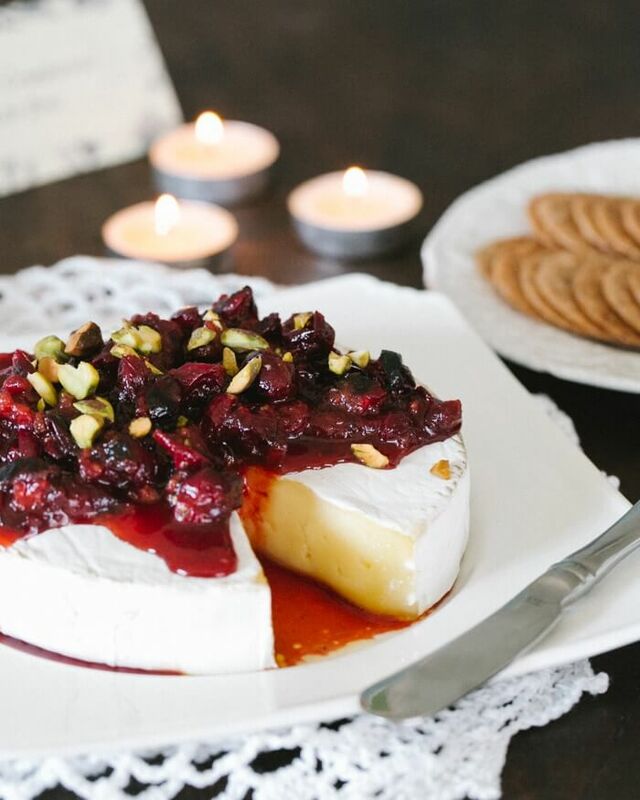 This baked brie and cranberry combo is a warm wintery treat, perfect for your Thanksgiving appetizer table. With only three ingredients, these couldn’t be easier to make. They’re pretty tasty, too. Give me a pound of prosciutto, and I’m a happy girl. Add pear and goat cheese – game over – I could polish off the whole lot. 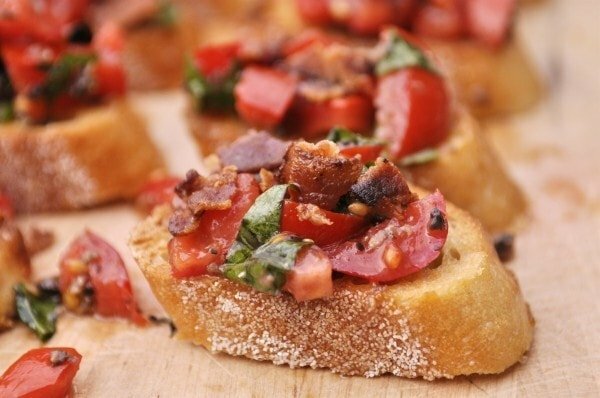 I’m a sucker for bruschetta, but as this blogger says, everything is better with bacon. Made with simple, fresh ingredients, these sweet potato cakes are easy to make in advance of your big Thanksgiving feast. Edible Perspective’s Ashley McLaughlin is right when she says, “Say hello to your newest showstopper Thanksgiving appetizer.” Showstopper indeed. 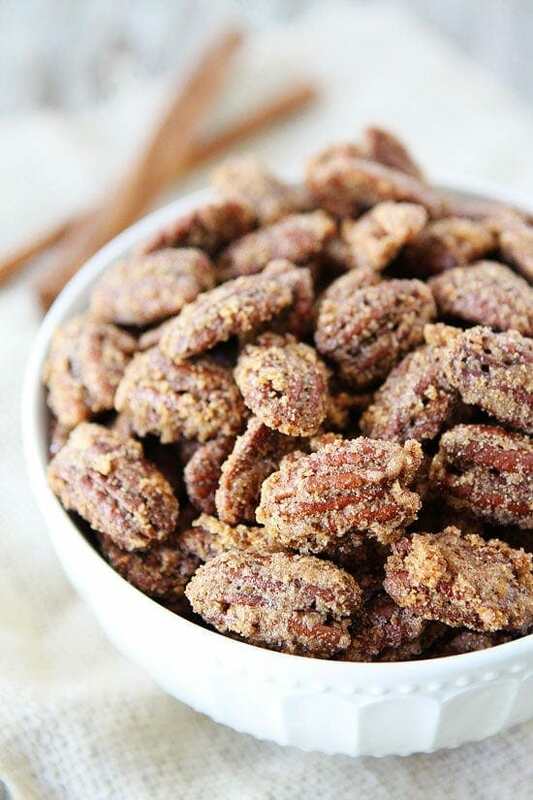 What’s a Thanksgiving appetizer table without a dish of nuts? Not only are these a cinch to make, they’re tasty and double as a great salad or main dish topping.